The subtitle: ‘work less, create more, and design a career that works for you’ had me at hello! I’m often found banging on about working smart not hard. I experienced burnout eight years ago now and it was definitely a wake-up call to look at the way I was working and how sustainable it was given the environment. Three years after burnout I left corporate to follow the portfolio career dream I’d had for some time, having the variety of a few projects that all played to my strengths and would bring income from multiple sources. I’m five years in and I’m still trying to figure out the right mix of projects and income that work for me (it’s a constant source of reflection, such is the beauty and pain of variety). So into Emma’s book I dived. What I loved about this book is that it guides us to understand the changing landscape particularly around two key factors, technology and the working demographic. We have an ageing population working longer (baby boomers) and also a younger demographic joining the workforce (millennials and Gen Z). Both groups have very different needs and different relationships with technology and also what they expect from work. If we’re going to make our working environments work to attract and retain that talent, we need to be aware of what changes might be required in the way we work. Bring about a conversation about even more diversity… it got me wondering how we create diverse working spaces that provide enough variety of environment to meet the majority of the diverse needs in our modern workforce? 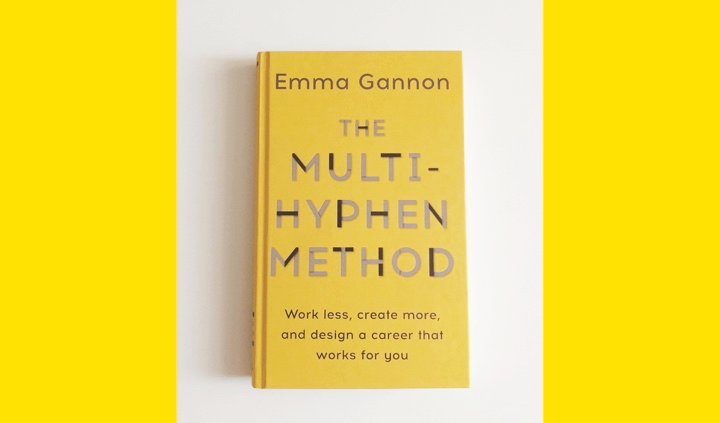 The rest of Emma’s book is very much focussed to the solopreneur, the multi-hyphen worker, the portfolio career. People who aspire to create income from a number of different avenues. She doesn’t dictate that you give up employment, in fact she encourages you to work out what would work for you and is realistic about new ventures taking time to get going. The book is chock-full of practical resources, advice from other multi-hyphens and a good reminder about the ups and downs of such a career choice. I finished the book in a day, feeling like I’d found my tribe. The old story about finding your ONE THING, your NICHE, matters to those that don’t get creativity, variety and freedom in work. But our working choices are now unlimited… perhaps the biggest challenge is not creating too many hyphens. A must read for solopreneurs and people wanting to work with diversity and creativity in the workplace.